[Note: This is a guest post by Jim Rossignol]. Game developers are unconstrained in their designs for the enemy. Such designers will be punished with poor sales, not death in the gulag, if their designs for the overlord are unpopular. 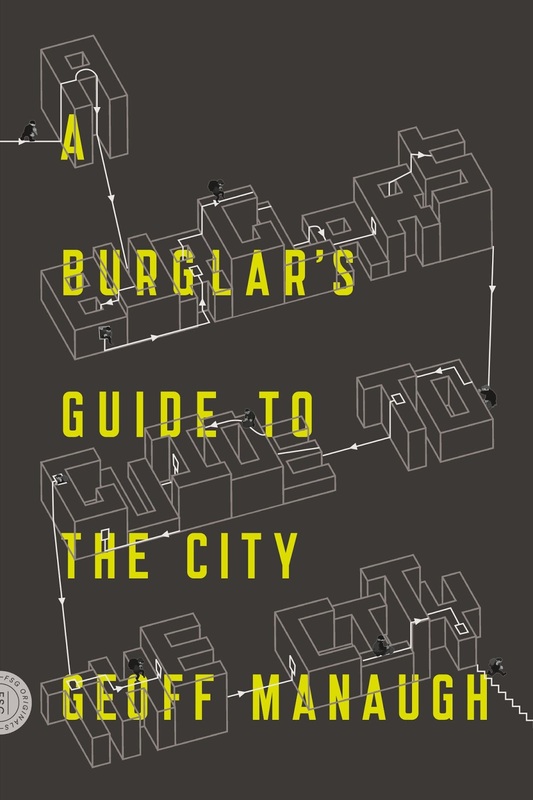 They could go anywhere with the homes of evildoers: halls of electric fluorescence, palaces carved from corduroy, suburban back yards. 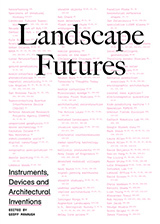 And yet, in spite of this freedom, most videogame designers choose to make a definite connection to familiar – or real-world – architecture. Perhaps they think that the evil lair must emanate evil. There's surely no room for ambiguity with videogame evildoers: the gamer needs to know that it's okay to aim for hi-score vengeance. [Image: From World of Warcraft]. Conveniently, evil already has a visual language. Put another way: I have seen the face of evil, and it is a caricature of gothic construction. 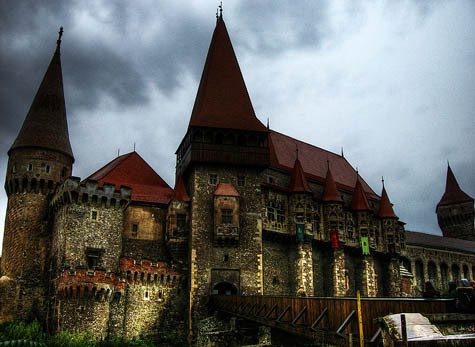 There's barely a necromancer in existence whose dark citadel doesn't in some way reflect real-world Romanian landmarks, such as Hunyad or Bran Castle. The visual theme of these games is so heavily dependent on previously pillaged artistic ideas from Dungeons & Dragons and Tolkien that evil ambiance is delivered by shorthand. 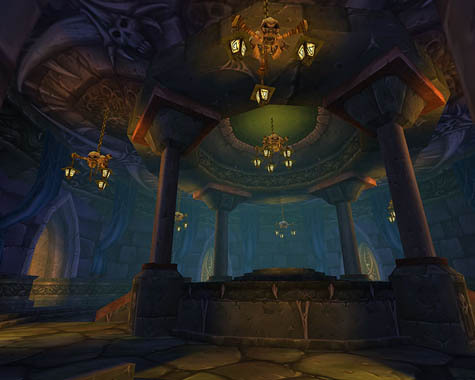 (Of course, World of Warcraft's Lich King gets a Stone UFO to fly around in – but it's still the same old prefab pseudo-Medieval schtick inside). Where the enemy is extra-terrestrial, HR Giger's influence is probably going to be felt instead. [Images: (top) Bran Castle, (bottom) Hunyad Castle, all via Wikipedia]. But, I suspect, these signposts – or the ways in which game designers architecturally represent evil – are becoming too much a part of our everyday imaginative discourse to remain affecting. They've begun to lose their danger. The connection with the inhumanity that makes the enemy so thrilling has started to fade via over-familiarity. Where the evil lair becomes a little more interesting is when its nature is ambiguous – but nevertheless disturbing. Half-Life 2's Citadel is an example of this. The brutal gunmetal skyscraper that looms over a nameless Eastern European city, below, appears deeply threatening. But, like everything else in the Half-Life 2 universe, it is unexplained. It does not seem inherently evil. The structure moves and groans; it is a machine of some kind. It is something constructed and mechanical, rather than the clear manifestation or emanation of an evil force. The Citadel is not a fire-rimmed portal to hell, nor a windswept ruin. Nor is it a volcano base. It could even be somehow utilitarian. In fact, it's reminiscent of the real Moscow's own television tower. It is, perhaps, even incidental to the scourge that Half-Life's denizens face: alien infrastructure. It is only later, as the plot uncoils the inner architecture of the Citadel, that you come to realise that it is the enemy: the lair of an alien force that must, ultimately, be destroyed. Where the lair is itself the enemy, games are able to excel. This is the case in both System Shock and System Shock 2, the finest of SF horror games. Both are set aboard spacecraft, but these spacecraft are also the "bodies" of the enemy: SHODAN, a malevolent Artificial Intelligence that controls each vessel. In a provocative climax of virtuality-within-virtuality, the final act of System Shock 2 is to enter into the cyberspace realm of the AI and defeat SHODAN inside the graphical representation of her own programming. The evil lair is within the mind of the enemy – a motif repeated even more literally in Psychonauts, a game about exploring the physically manifested psyches of various bizarre characters. [Image: From System Shock 2]. More interesting visually, and far more ambiguous in its delivery of the evil lair, is the underwater city of Rapture, in Bioshock. 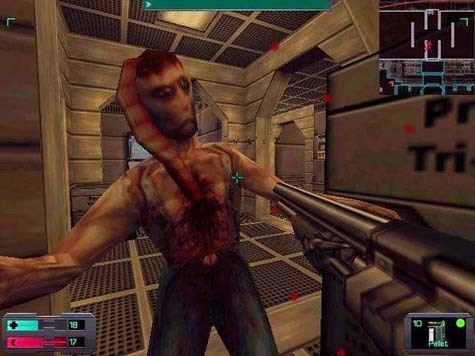 The designers of this game (some of whom also worked on the System Shock series) poured the early part of the twentieth century into their designs, creating opulent, decaying, Art Deco corridors down which the genetically-enhanced super-human player goes thundering, searching for the enemy. The ostentation of the city's innards suggests that the city's objectivist overseer, Andrew Ryan, must be the enemy we seek. He has, after all, created himself an entire city with a single, over-arching theme: a trademark act of the all-powerful videogame nemesis. Yet, as the story unfolds, it becomes clear that, although you will inevitably kill Ryan, his architecture tells you nothing about the nature of the enemy you face. Indeed, the true enemy has nothing to do with the stylised nature of this lair at all. 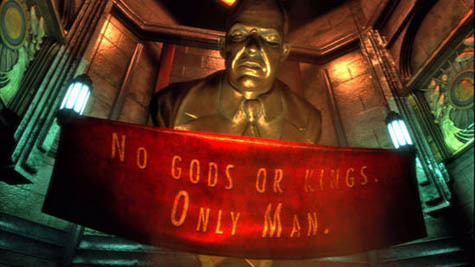 [Image: Channeling Ayn Rand, Andrew Ryan's city banner announces "No Gods or Kings. Only Man." From Bioshock]. 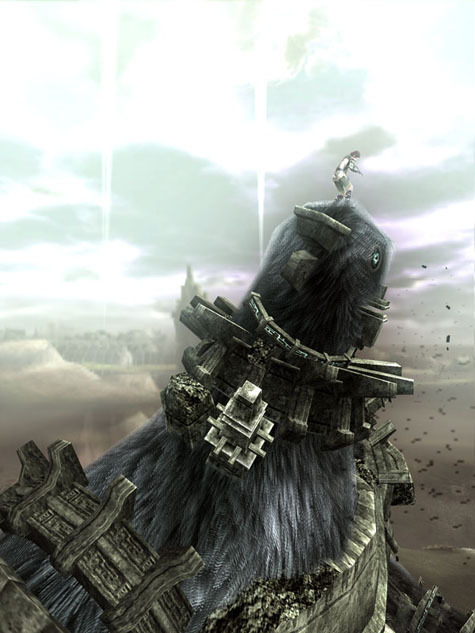 But perhaps the most extraordinary and unearthly of evil videogame architectures are the wandering colossi of Shadow of the Colossus. Great, living structures, lonely behemoths, that stride magnificently across the game world. These sad, shaggy giants of stone and moss must be climbed and slain by the hero, often via use of the surrounding environment of ancient ruins and meticulously designed geological formations. Lairs within lairs. [Image: From Shadow of the Colossus]. Of course, monsters are presumably evil, but the reality of the colossi remains ambiguous for much of the game. When the game is up, the player-character suffers a terrible price for destroying these strange, animate monuments. It is one of the few videogames in which the protagonist dies – horribly and permanently – when the game is over. It is a game where destroying the evil lair might well have been the wrong thing to do. And yet it is all you can do. Such is the inexorable, linear fate of the videogame avatar. [Jim Rossignol is a games critic for Offworld, an editor at Rock, Paper, Shotgun, and the author of the fantastic This Gaming Life: Travels in Three Cities. 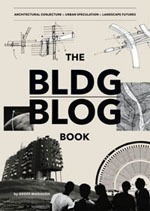 A full-length interview with Rossignol will appear on BLDGBLOG next week]. Awesome post. I often think some of the most creative work in interactive media is in the form of design for videogames. Not so much gameplay, usually, since the same kind of action sets tend to propagate across the medium (probably for good reason, some degree of familiarity with controls allows a game to be more accessible) but a good environment really stands out. The examples here are, of course, the well known cream of the crop. I think it would be nice to see more games that put emphasis on exploration, the experience of being in a place, instead of the actions taken there. Mass Effect, for example, missed a lot of opportunity with their random planets - the worlds could have been each a jewel of an experience, instead they were a boring auto generated landscape dominated by a small action oriented experience. I would have had more fun with doing a similar action oriented part, but having the exploration be immersive. Halo takes a lot of criticism for being derivative, but it conveys a far more complex architecture than most any other game. Most of the first game takes place in a neutral territory, with multiple factions fighting across it, and you get to explore beaches, cliffs, woods, all pretty familiar environments. When you finally get into the "enemy's space" (onboard a Covenant vessel) you realize that...it's purple. Nothing but semi-organic curved purple walls and hallways. Completely original, somewhat unsettling, and utterly alien. I think the Citadel in Half-Life 2 is a great edifice to consider given this discussion - great choice Jim. I had kind of forgotten about it, but seeing it again makes me realize how much "The Shard" in Mirror's Edge resonates with it. This latter structure is a corporate skyscraper that looks distinctly Libeskindesque, there is even a bit of radio chatter in an elevator ride early in the game that alludes to the starchitect designer of the building. When outlining an aesthetics of evil, lest we not forget Dungeon Keeper - what could be more fun than pretending you are Daedalus and micromanaging a labyrinth? Great post! I'm looking forward to the interview. I agree with nathan - it might seem overexposed but the architecture in Halo is amazing and original. Definitely worth including a mention. I guess that the fact that halo's environment is so weird helps make it totally alien. Off topic a little i know, but if anyone's ever in Romania, near the beautiful town of Brasov, don't bother going to Bran Castle. Sadly it's the epitome of disappointment. A trip bear watching on the other hand is definitely worthwhile. Talking of game architecture, has anyone played Fable 2? It's very stylised, although rather twee... Games like Gears of War also make use of architectural style to set the mood. I would highly recommend investigating the work of one of the lead conceptual artistic designers for Half-Life 2 (amongst other things, the film Renaissance; Paris 2054) Viktor Anton. Viktors eastern-european background surely influences his intimately dark environments that are capable of expressing "evil" with great clarity. Currently, his studio is working on a cross-player (first of its kind) game called "the crossing" which melds contemporary france with an altered timeline which sees the knights templar survive into modern times. In such a place, historically disjointed architectures are melded together. A great read, and one that I would love to see expanded on further. Portal is another game worth looking into, the building itself is your enemy. The design takes the clean lines of an Apple Store and turns it into something hauntingly sterile and heartless. I suppose the problem is that people will only accept a certain number of things as being sinister, according to what they've already been exposed to as something sinister by the media. The tradition of castles being sinister places goes way back, into the territory of literature if you want to take it there, and probably Nosferatu if you'd rather stick to visual media. And the whole 'industrial nightmare' scenario goes back as (though it may be presumptuous to reckon) The M Machine in Metropolis. 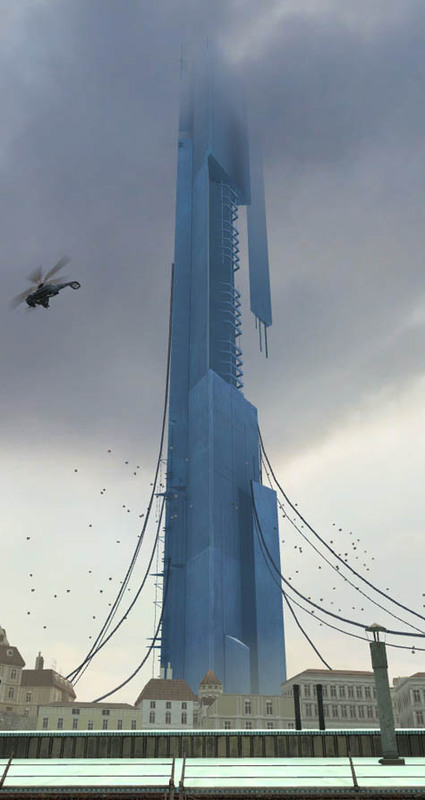 The New Tower of Babel itself equates height with power, and is remeniscent of the Half-Life 2 Citadel in that regard. I suppose to be an innovator you have to make something scary that people never thought was before, without coming off looking absurd. Another game (series) that is no doubt worth mentioning in the context of this post, is the infamous Silent Hill series, with its frightening architecture, infrastructure and scenery. And if anyone has ever heard of the Siberia game series, the industrial-age architecture featured there is not only scary, but also has a great deal of mystery hidden in it. Google the games if you haven't heard of them. I really like the notion of evil lairs becoming ineffective in conveying evilness due to their repeated visual language. It's interesting that we have indeed reached a common visual "evil" style that is distinct and boring at the same time. I think that the problem can be generalized: our whole bestiary of enemies is becoming cliché too. We rarely find truly creative and interesting monsters since everyone and their grandmother has seen, shot or read about the same beast. Vampire, evil mad scientist, the beautiful evil lady with breasts, evil agents of government/corporation and the like. Architecture wise I'd add (to Portal, whose visual imagery was marvellous in what it was intended to do) a very distinct "lair of evil" from Elder Scrolls III: Morrowind. Its Daedric architecture was very distinctly "Chtulhlu" in its visual appearance: its blocky design with disorienting black textured surfaces were one of the most rewarding experiences while exploring the island. I think that the whole concept of the Daedric architecture was a bold experiment in 3d games: they did something that no-one had ever done and did it well. Well -- look at that! That's my shot of the castle that I uploaded to Wikipedia not too long ago (to replace the awful image that was up there previously). Is it me or Combine architecture from half life2 is inspired by lebbeus-greatest man alive-woods? look at those hanging wires and irregular surfaces that overlay each other. Great post, but I think you should really post a spoiler warning at the top there. You dropped quite a few big ones. One thing that nobody's mentioned yet is that environments in videogames are not living spaces, or working spaces, or really designed for anything else 'realistic'. There's a consideration that gaming environments need to keep in mind that don't even apply to the 'atmosphere is everything' environments in the movies: They're gaming spaces. The bad guy's lair not only has to look scary but it also has to host a rocket launcher battle, or a lightsaber duel, or whatever. And this purpose-built combat environment is more-or-less unique - nuless you count those deserted villages and buildings where the police and military train. I would also mention Silent Hill as an example of a totally disconnected architecture design with the emotions they convey. It's remarkable how the developers were able to design a perfectly normal and standard suburban town that can terrify you so much. I guess what's really important is not which emotions architecture per se can express in videogames, but what the articulation between architecture and the story/feeling of the game will result in the end. The fact that the town of Silent Hill is so plausible of existing is what makes the crazy stuff going on in it so much more relatable, and thus more frightening. It's an example of why you don't really need some gothic-kitsch buildings to express evil.